SMART Communications Inc. now brings you an offer like no other, will give you a chance to experience the Smart Life (#SmartLife) by being digitally connected in meaningful ways. 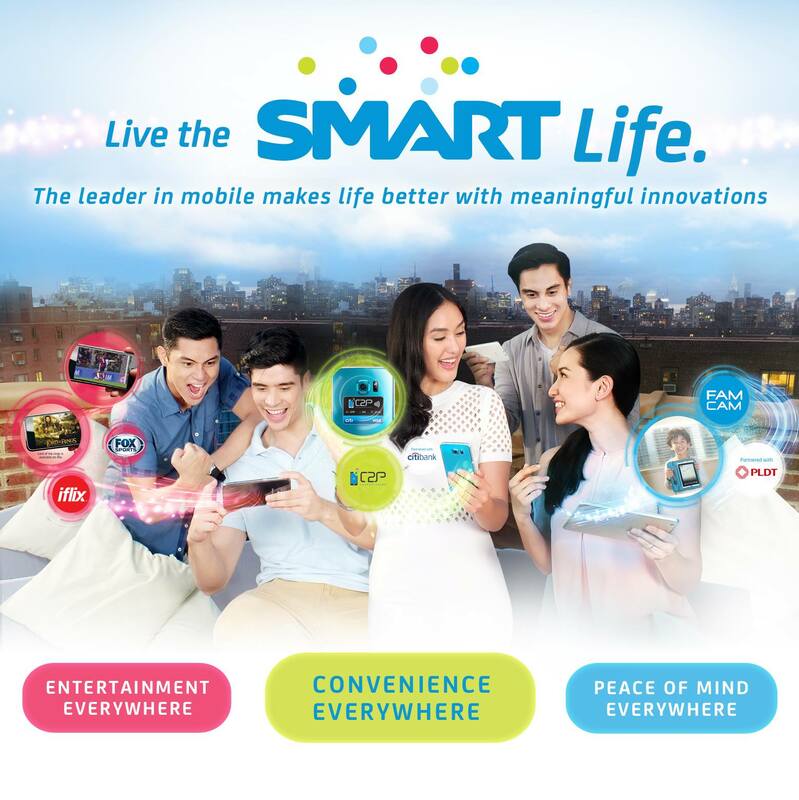 With SMART, you can enjoy more the entertainment everywhere, convenience everywhere, and peace of mind everywhere. 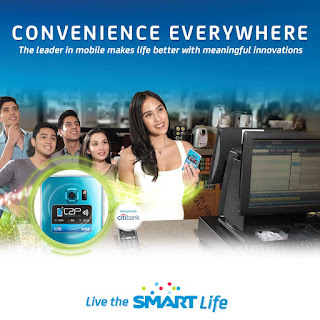 Live the SMART Life with the use of your smartphone anytime, anywhere and everywhere. 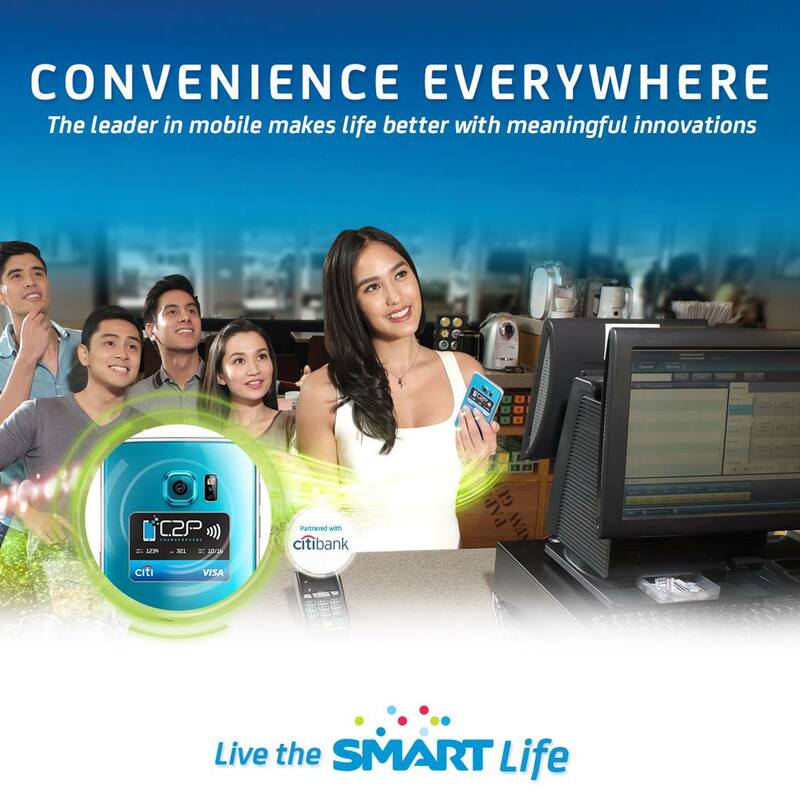 Since we all can't leave the house without our phones, SMART had the initiative to combined the comfort that you can experience and maximized with the use of your phones. Entertainment Everywhere brings you the newest and latest updates in entertainment industry like in music (Spinnr), movie and tv series (iflix), sports (Viewstream) celebrities and more. You can subscribe a monthly to iFlix for 99Php only aside from a 14-day trial of unlimited movies and Tv series. 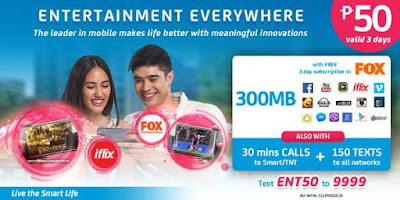 Also offer Entertainment Everywhere Bundle for only 50Php for 3-days, that includes FB, COC, iFlix, You Tube and a 30 minutes calls and 150 texts. Just text ENT50 to 9999 and you can enjoy Entertainment Everywhere, from a waiting on a long line to cab, MRT stations, waiting for someone or just enjoy your me moment, watching your favorite movies and tv series. Convenience Everywhere features an easy payment anywhere in the world, as long as you have a CITIBank Card and CHARGE2Phone technology will take care of everything. Just visit your bank and the country's first sticker-based NFC contactless payment solution will be applied. You can now enjoy shopping and food tripping with your friends without any cash on hand. 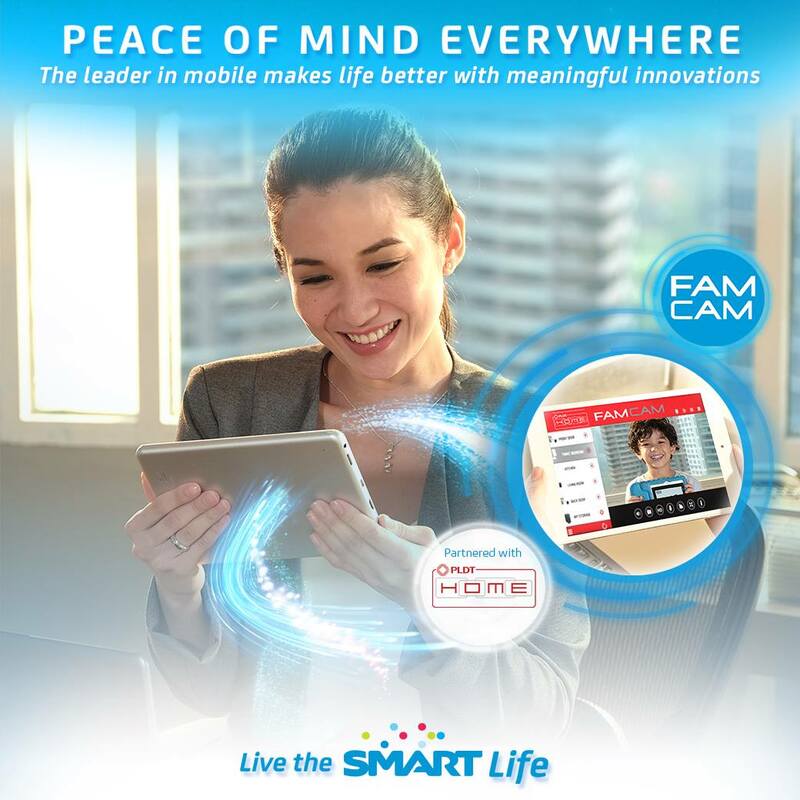 Peace of Mind Everywhere lets your worries down because with PLDT Home FamCam, you can monitor 24 hours a day and 7-days a week your family, specially your children even you are at work, also you can use it to monitor your business even you are in a meeting or in abroad. 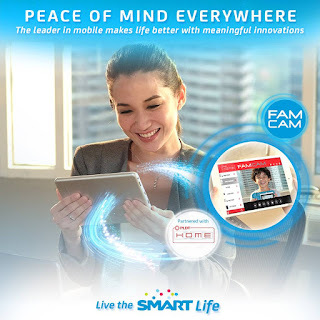 For more details about living a #SMARTLife, you may visit http://smart.com.ph/smartlife.